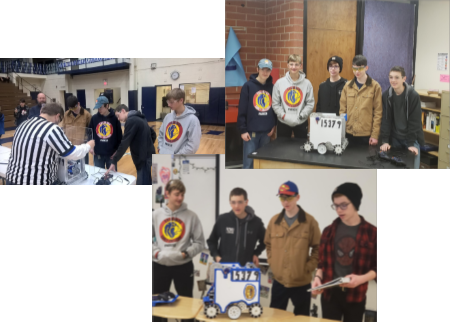 Our robotics team, called Liontech recently competed in a nation-wide group called FIRST Tech Challenge. Each season consists of a challenge/game that each team competes in. This season the game was called Rover Ruckus. The objective was to collect different minerals and put them into a lander at the center of the field. The field is divided into two teams called alliances. Each alliance works together to score points. Last weekend they placed 10th out of 32 teams - which qualified them for the state competition this Saturday at Regis University!